The Music House is thrilled to feature harpist Marta Power Luce with violinist, Ivan Suminski on Dec. 29th at 7 pm. Marta is a world renowned harpist who currently resides in Paris France where she studied and now teaches and performs around the world. She is originally from Traverse City and the museum is excited to feature this gifted hometown ‘girl’! 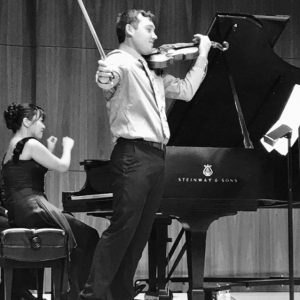 The concert will also feature another Traverse City native, Ivan Suminski, who is currently studying violin performance at Eastman School of Music in Rochester NY. 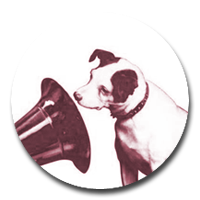 They will be performing a selection of music inline with the era of our collection. This will include Preludes by Gershwin, Romanian Dances by Bartok, Thaïs Meditation by Massenet, Fantasy for violin and harp by Saint-Saens, Preludes by Marcel Turner (a harpist composer from the turn of the century), as well as the harp solo ‘Gitana, by the same composer, Czardas by Monti, Après un rêve by Fauré, and Entre’acte by Ibert. Luce earned her Diplôme Supérieur de Concertiste from the Ecole Normale de Musique de Paris, where she studied with Isabelle Perrin from 2001 to 2008. 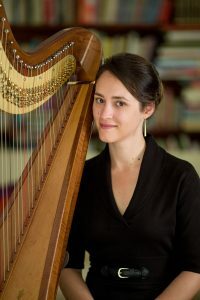 In addition to this degree in harp performance, she also earned two Brevet diplomas, one in Music History (2004), and one in Analysis (2006), and completed a Licence de Musicologie at the Sorbonne University of Paris in 2006. She has been awarded prizes in several international harp competitions, such as the 4th International Felix Godefroid Harp Competition in Belgium, the Camac Harp Competition of the North London Festival of Music and Drama, and the Salvi “Le Parnasse” competition in Paris.